Home » Biology » What Does Validation and Verification Mean in the World of Food Microbiology? 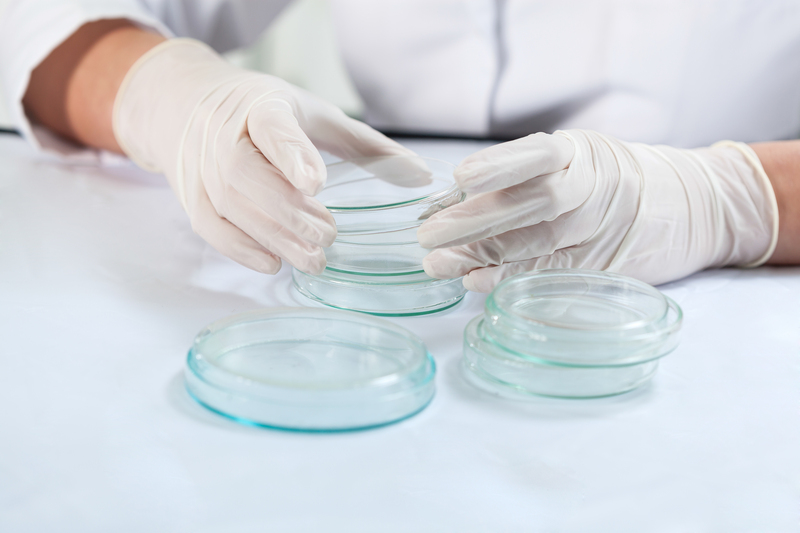 Validation and verification are becoming new buzz words in the world of food microbiology, especially when it comes to quantitative and qualitative testing. This blog will focus on qualitative testing. Under a key Food Safety Modernization Act (FSMA) requirement, food manufacturers must ensure their matrices are tested using methods that have been validated by a recognized accrediting body for that particular food category. The main food categories found in International Standards Organization (ISO) and AOAC INTERNATIONAL guidelines are then further sub-categorized on the basis of broad food categories and microbial load and recovery. To validate a category of foods, one matrix from each sub-category must be tested according to recognized validation processes to ensure the method is applicable to all types of foods in that category. Therefore, when a non-validated matrix is being tested, it is highly recommended, and required through FSMA, that there be some type of verification conducted for qualitative testing before using the method. This is particularly important when results are to be used for regulatory purposes. The phase ‘fit for purpose’ is the chatter nowadays, meaning “is the method fit for the matrix and the target organism?” “Can the target organism be detected in the presence of the matrix for a particular method?” What exactly does this all mean when implementing a qualitative method? Let’s consider the definition of validation. The official validation definition outlined by ISO is, “The confirmation by examination and the provision of objective evidence that the particular requirements for a specific intended use are fulfilled.” Validation requires demonstration that the method is equivalent to the reference method (for the matrices validated) based on the defined method criteria. Methods are traditionally validated prior to being commercially available. However, not all methods have the same degree of validation; when the method is validated; the claim is limited to those foods actually tested. Once a method has been approved for that food category, a claim can be made for that food category, but the actual foods tested must be clearly stated. It is important to note that the more closely related a new matrix is to a validated matrix, the higher probability that the new matrix will perform similarly. For example, if you were manufacturing chocolate and the method you are using is only validated for fruits and vegetables (and chocolate is not one of the sub-categories under that particular category), a validation would be required. Validation is also required for any modifications to official methods, in-house developed methods, changes involving new technology or automation, or significant method parameter changes such as reagents, apparatus, temperature, incubation period, or enrichment media. The definition established by ISO for verification is “the laboratory shall confirm that it can properly operate standard methods before introducing the tests or calibrations. If the standard method changes, the confirmation shall be repeated.” Verification may be performed if the new matrix is a new sub-category, but within the same class as a validated matrix, meaning, the food sample is similar to a validated matrix but has some formulation differences that may affect the method’s performance. Let’s go back to our chocolate example. The current method may be validated for dark chocolate only, however, you are also manufacturing milk chocolate. Verification will be applicable versus a validation in order for you to use that same method for milk chocolate. The scientific reasoning for this is related to the fact that even though dark and milk chocolate are under the same food category (chocolate), the product formulation or presence of naturally occurring antimicrobials in milk chocolate could possibly inhibit microbial growth. Therefore, verification would need to be done to demonstrate this will not occur. Verification is additionally used as a tool to measure analyst and individual lab performance. Analysts must be able to show ability to perform testing with an equivalent degree of precision and accuracy using standard materials, proficiency samples, or by comparison. The validation and verification procedures are also different. There are recognized guidelines (AOAC, FDS, USDA) and standards (ISO) that are followed. These are all very rigorous and generally test the method by analyzing specific matrices for validation while the verification procedures involve analyzing a new matrix or target organism. The bottom line is that it is very important to remember that it is necessary to validate and verify that the method being used is appropriate for that food sample prior to routine testing. To ensure your methods are adhering to the standards required, please contact Silliker and we will be able to assist you. Read our related article “4 Common Approaches to Consider for Process Validation Studies” or download our Food Testing and Services Catalog.